When two women find themselves overlooked and underappreciated as they face their older years, they resort to drastic measures to get payback. Jenny (Lotta Tejle, The Sandhamn Murders) is a teacher struggling to stay afloat during a messy divorce, while her best friend, gastroenterologist Cecilia (Sissela Kyle, Miss Friman’s War), has financial problems from a failed stock investment. After Cecilia learns of a bank robbery plan from a dying patient, she convinces Jenny that a crime spree is just what they need to take control of their lives. As the robbery sets off a chain of events exposing them to blackmail, car chases, and a dangerous biker gang, Jenny and Cecilia quickly learn that money won’t solve all their problems. 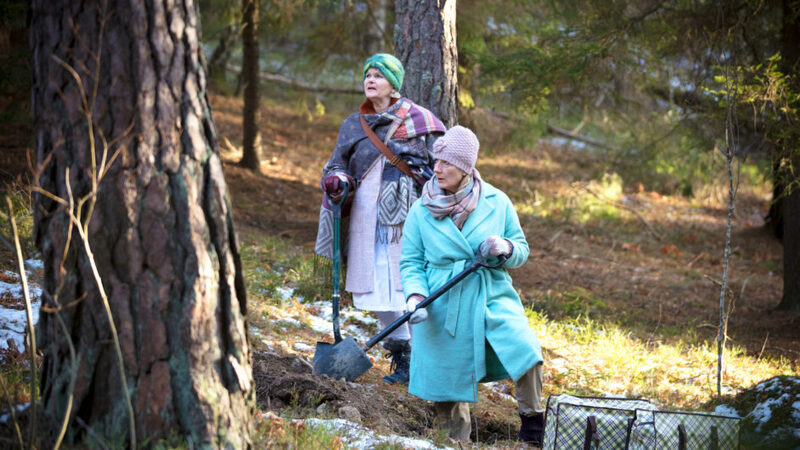 Rich with dry humor, this Swedish-language comedy-drama combines crime caper with sharp social critique.